click on this link and enter our name: Loughborough Junction Action Group. 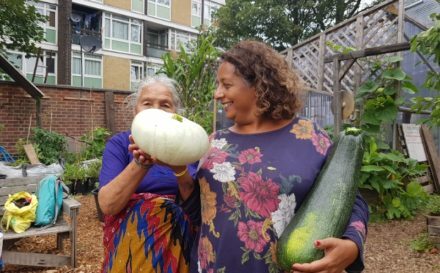 Our food growing project on Loughborough Road, where people come together to grow food for the community, learn new skills, make new friends and improve their well-being. The Farm will now have a permanent home as part of LJ Works and is designing an exciting new Farm. We remain open during building works for gardening sessions every Tuesday and Saturday afternoons from 1pm. The community cafe at The Platform in Wyck Gardens opposite the Farm is open on Thursdays and Fridays for healthy lunches and is run with the help of volunteers. Local cooks get the chance to work as guest chefs, learning how to cook in a commercial environment. 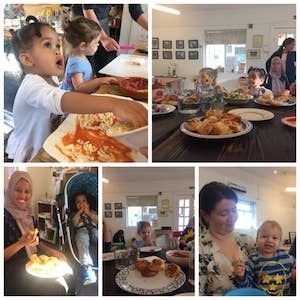 The cafe runs healthy eating workshops on bread-making, fermentation, batch cooking and feeding families on a budget. The Grove Adventure Playground in Gordon Grove has some of the most adventurous play structures in south London. The playground was closed for three years when funding from Lambeth council ran out. 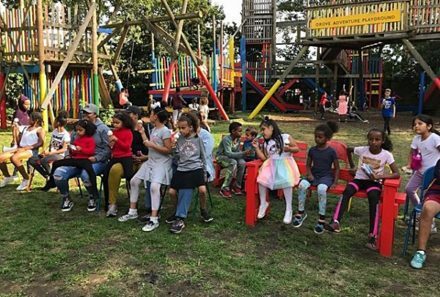 LJAG raised money to open the playground again. Over 230 children and young people are now registered and our free summer and October half-term holiday playschemes were attended by between 45 and 55 children each day. With so much crime on our streets supervised outdoor play is a vital service which we are determined should survive. LJAG trustee Hazel Watson and former trustee Maude Estwick will be running their craft workshops again every Friday from 4 January at the Grove Adventure Playground. 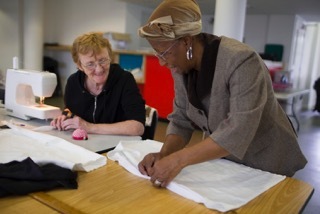 The workshops concentrate on sewing – we have five sewing machines – knitting and crochet. The craft workshops are intergenerational and bring people together to learn new skills and provide a sociable place for many isolated residents. If you fancy supporting LJAG’s work click on this link and enter our name: Loughborough Junction Action Group.